I thought I would try out the 3D nail art things I bought from eBay for 99p. I bought a cake set and a fruit set. 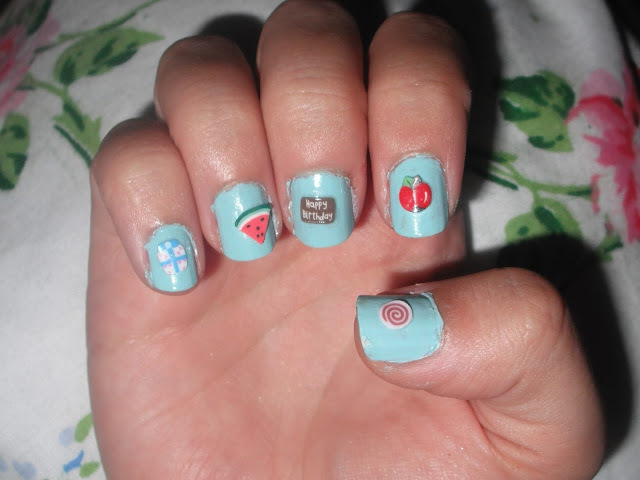 I painted my nails using Collection 2000 Button Moon, and then got gluing the little buggars on! They stick on SO well with regular false nail glue, so don’t expect to get them off for over a week. I needed to use nail scissors to ping mine off! They’re pretty cute though 🙂 What do you think? omg that is so cute! love it! 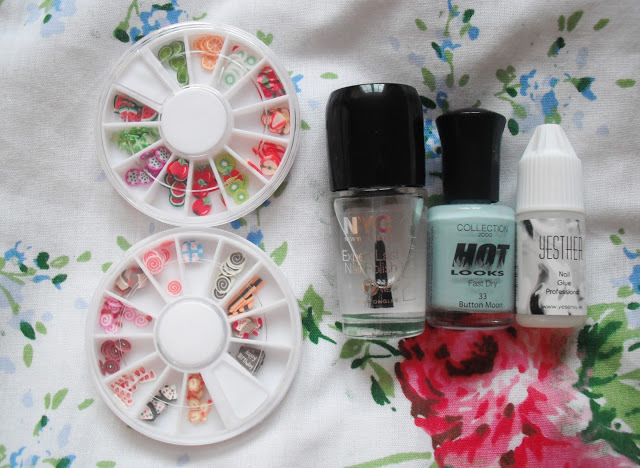 I got some of those nail art stick on things a while back, I got a variety in my pack, there were fruit pieces, love hearts, smileys, butterflys and all sorts! 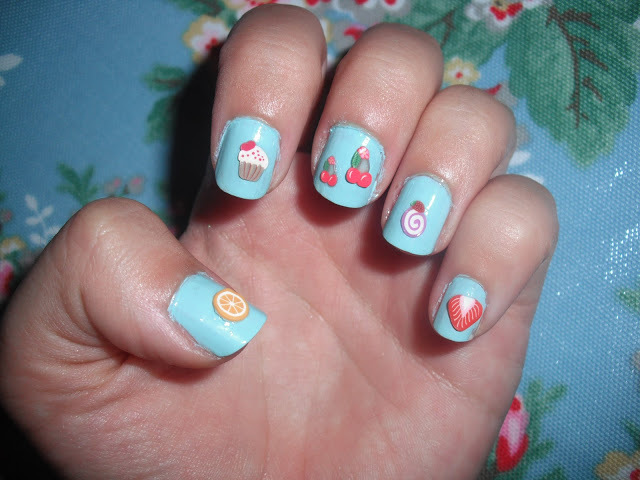 oh my gosh your nails look incredible! I really need to be more experimental with my nail art. They are very cute! I might have to have a look for something similar. You can't go wrong with 99p!